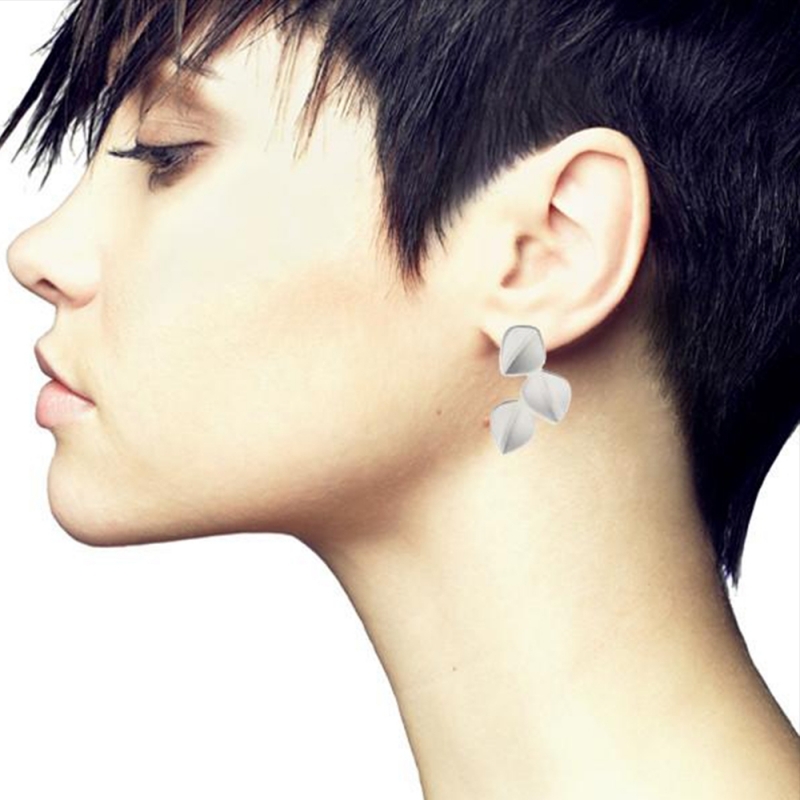 A delicate and feminine stud earring from the Leaf Collection by Nicola Bannerman. This small stud features three .925 sterling silver leaves joined together to form a falling leaf design which sits flat. The leaves have a sandblasted finish on the front and are polished on the back. Sterling silver ear-posts and butterflies complete these gorgeous earrings.